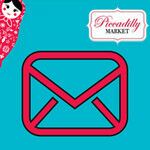 ....to leave a comment to have a chance to win $100 to spend at Piccadilly. Just scroll down and find the post. Its the easiest competition ever. Just click on COMMENTS and type away. If you dont have a Google ID just leave it as anonymous and your name or email address. Just some way that I can contact you. Entries close at midnight on 24th March and I will draw the winner on Thursday 25th March. Only 11 days to go now and I am getting very excited. So many fab stall holders. I cant wait to see the array of fantastic offerings. Just saw the ad in the Gtwon news about the market. Can't wait, you are right it is definatly something geelong needs. I'll be attending for sure. Only a week to go. Great job getting some of these stall holders to Geelong. Black Amber looks interesting and Cosse from the Abbotsford Convent will be good to check out. 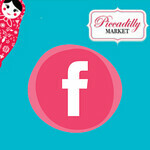 Heard about Piccadilly through a friend of mine and am definately looking forward to seeing all these wonderful stalls. Thankyou Janina for putting together this event as I didn't know of any of these businesses. I am so excited that this major event in the region's history is so close. I have saved up all my pennies to spend, spend, SPEND. Finally some culture in Geelong!!! Thanks Janina - so much time and effort to bring us this wonderful concept. Chookleaf here I come! I'm really looking forward to this Janina. Finally a wonderful concept is emerging in Geelong. What a fantastic idea for Geelong! Well done Janina. I'll be sure to check it out and tell my buddies. Just one question...where do you get the time????!!! Looking forward to crossing the bridge to experience a new an exciting market! This is one of the activities my partner and i have planned to do to help celebrate our 1 year wedding anniversary! My partner is a designer and I love to sew so looks like something we will both appreciate. 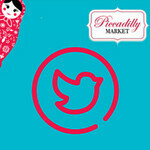 I also love markets and events like this because it helps build community spirit and support independent designers. Great job...looking forward to it.